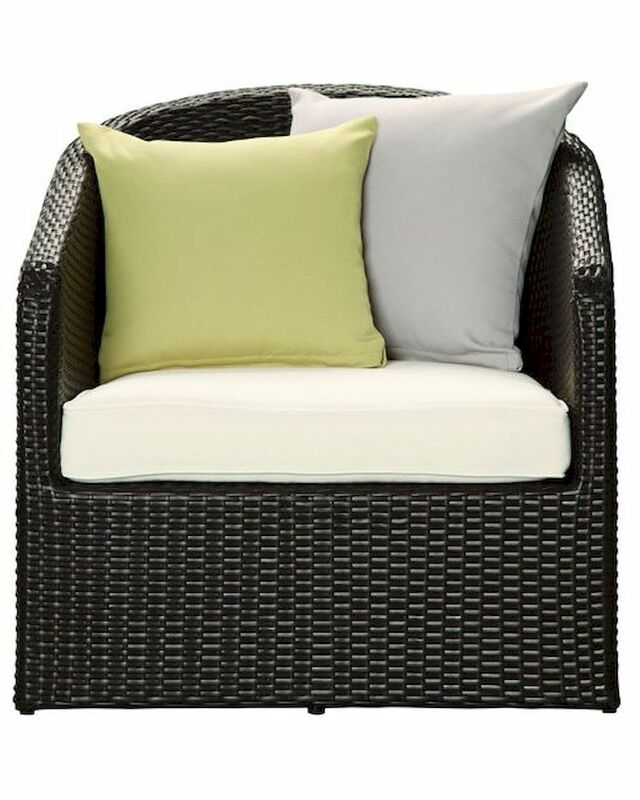 Cozy Indoor-Outdoor Wicker Rattan Patio Armchair by Modway MY-EEI968EXPWHI. Position yourself into a chair that you can get lost in. While other Indoor-Outdoor chairs pride themselves on their sparse nature, Cozy lets you bask in the sun without compromising on comfort. Cozy’s extended backrest frame and plush seat help keep your posture while you approach relaxation with resolve. 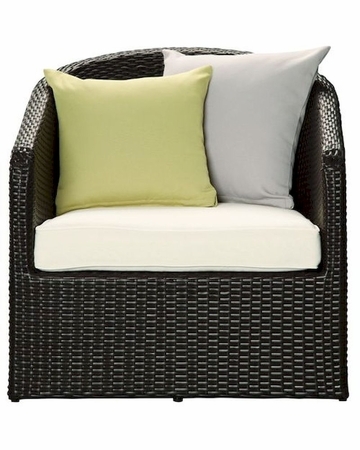 Comprised of a UV resistant rattan base, a powder-coated aluminum frame and all-weather cushions, Cozy is perfect for patios, pool areas, hotels, resorts, balconies or any Indoor-Outdoor space in need of something snug.